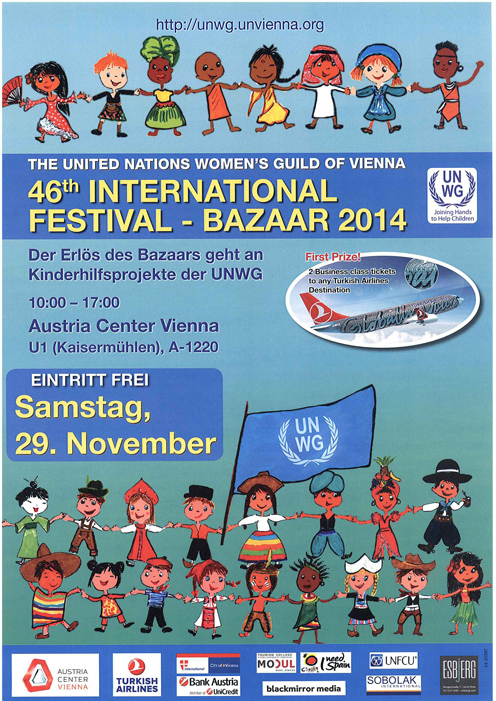 Annual Charity Bazaar organized by the UN Women's Guild will take place on 29 November 2014. As in the previous years, the Permanent Mission of Hungary to the OSCE, the UN and other International Organizations will feature two stalls, where visitors will be able to purchase souvenirs and experience traditional Hungarian cuisine. Admission to the event is free and open to everybody.